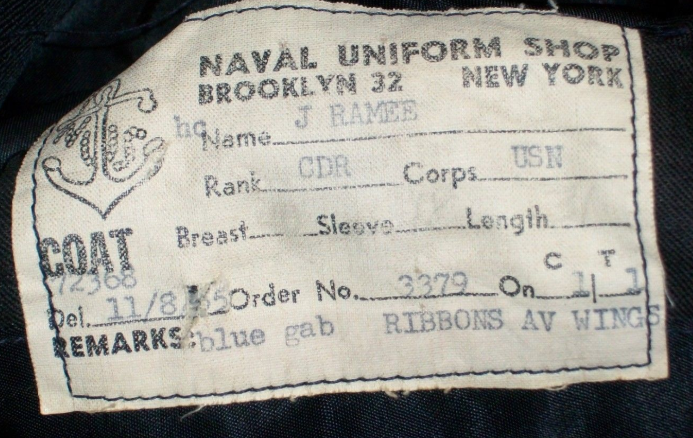 Commander John Ramee’s jacket label from the Naval Uniform Shop of Brooklyn, NY, Note the remarks (blue gaberdine, ribbons and aviator wings) mentioned at the bottom. Posted on April 2, 2019. Bookmark the permalink. Leave a comment.